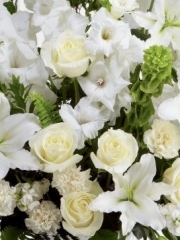 Aberdeen Flowers have a large selection of Anniversary Flowers which we can deliver within Aberdeen, the North East of Scotland and with our network of florists throughout the UK and even abroad in over 140 other countries. Our anniversary range is comprehensive and is the perfect way to make your loved one feel that extra special. Sometimes nothing but flowers will do and if that is the case for you then you have definitely come to the right place here at Aberdeen Flowers. 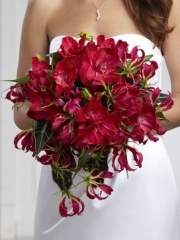 Our Aberdeen Florists love creating your beautiful flower arrangements for anniversaries and any other occasion. All the flowers we use at Aberdeen Flowers are imported directly to us from Holland where they are cultivated. This is to ensure that every single arrangement is made only from the freshest flowers to guarantee quality and longer life for your flowers. Our Aberdeen Florists make every effort to make sure that your order is perfect. If there is any kind of specification you would like to make about your Aberdeen Flowers then you will be able to do this through our bespoke service. We allow you to choose every detail of your Aberdeen Flowers because we want them to be perfectly suited to your requirements and your tastes. You can share your vision for flowers with our Aberdeen Florists who will take every measure to ensure that your arrangement is exactly what you wanted. At Aberdeen Flowers there is a huge range of blooms in every shape, size and colour so that we will be able to provide something to suit everyone. Whether you prefer traditional flower arrangements or something more unique, our Aberdeen Florists will be able to offer you the ideal flowers for your occasion. Whatever you decide to order, you can rest assured in the knowledge that from the moment you place your order we at Aberdeen Flowers will take care of every detail exactly how you would expect and treat your flowers with care right up to when we hand them over to your desired recipient. We also have our Same Day Delivery service which is very handy if you have a last minute order. We can take orders up to 3pm but if you fall outside this please phone one of our florists who can see if we are able to deliver the order still. The florists in Aberdeen have a gorgeous range of exquisite bouquets which are perfect to send and we also have chocolates which can accompany your flowers. We also have Champagne & Wines which is a great way for you both to celebrate your anniversary. Any of these optional gifts can be sent with your Aberdeen Flowers or even on their own to make a perfect gift to your partner on your anniversary or to a couple you know celebrating an anniversary of their own. Flowers Aberdeen have a long and proud history of supplying flowers in Aberdeen and the North East. Our 30 years of experience mean that you know you can trust us to live up to and exceed your expectations. Please speak to one of our Aberdeen Florists if you don't see exactly what you would like to order. Our expert florists in Aberdeen have vast array of knowledge of what is in season and what's best to send for any occasion and someone at Aberdeen Flowers will always be delighted to help you choose and send lovely flowers, whatever the occasion. You can contact Aberdeen Flowers to speak to one of our expert Aberdeen Florists about any questions you have in our Aberdeen shop, online or over the phone.